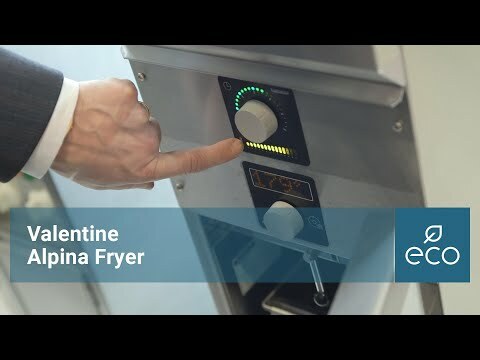 The Valentine ALPINA 300 T is a fantastic turbo powered single pan fryer. This fryer is the perfect solution for busy sites that are limited on space. With its unique design and technology this 300 mm wide fryer gives you the same output per hour as the 400 mm equivelant. The ALPINA 300 T is the turbo charged version of the ALPINA 300 giving far more power resulting in a greater kg output per hour. The easy to use electronic controller means simple operation and precise temperature setting.